Robert Durst was a rich man living free despite police efforts to link him to murder. Adnan Syed was a young man imprisoned for life for killing an ex-girlfriend. Media scrutiny changed their fortunes, pushing both back into the courts: Durst is facing trial on a murder charge, and Syed awaits an appeal of his conviction. Observers say it’s what journalists, or others taking on the role of investigative reporters, can and should do — but not simply, or heedlessly, to play faux detective. 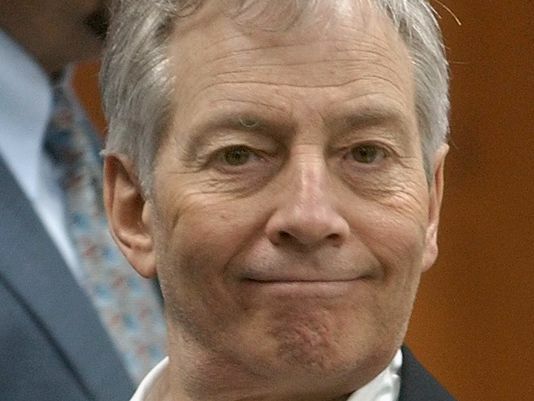 Durst, heard dramatically muttering “killed them all” to himself in the Sunday finale of HBO’s six-part docuseries “The Jinx: The Life and Deaths of Robert Durst,” was charged Monday with first-degree murder in the 2000 shooting of his confidante, Susan Berman. Police had planned to question Berman as part of their renewed probe into the 1982 disappearance of Durst’s wife. In 2003, the multimillionaire real estate heir was acquitted of murder in the death of a Texas neighbor. Syed, who has maintained his innocence in the strangulation of Hae Min Lee in 1999, when both were teenagers, was granted a request for review by Maryland’s Court of Special Appeals after the popular National Public Radio podcast “Serial” dissected the evidence against him last year. News and entertainment programs spotlighting criminal cases aren’t new: “America’s Most Wanted” began hunting fugitives in 1988. But the HBO and radio projects, along with a number of TV series, are full-blown investigations. CBS’ long-running crime-focused newsmagazine “48 Hours” has had an impact on a number of cases. The family of Ryan Ferguson, a Missouri man imprisoned in the killing of a newspaper sports editor, credited the attention of “48 Hours” for drawing attention to his case. He was released after a court determined police fabricated evidence against him. Criminals can be braggarts, said Rebecca Lonergan, a University of Southern California Gould School of Law professor and a former federal prosecutor. “There’s a certain thrill in talking to media,” she said. But the suggestion that media’s recent record puts law enforcement’s competence in doubt deserves scrutiny, she and others said. Filmmakers worked on “The Jinx” for seven years, according to HBO. The Orange County Cold Case Task Force, formed last year with 12 investigators, was handed some 800 unsolved murder cases dating back to 1961, said task force member Santa Ana police Sgt. Richard Gatto. There are other notable differences. Police must heed constitutional safeguards including the Sixth Amendment, which protects the right to counsel. If a suspect gives any indication that he may have killed someone, all law enforcement interviews must stop, Lonergan said. Not so with news reporting, which sets its own ethical standards. With “The Jinx,” she said, Durst’s vague and rambling utterances — captured on a body microphone he kept on during a restroom visit — required further scrutiny. “Your obligation is to find out what the context is and not assume you know what the context is,” McBride said, suggesting Durst should have been given the chance to address what he meant. Filmmaker Andrew Jarecki has said Durst knew he was being recorded and signed a contract giving the project free rein in using the material it gathered. Any evidence was shared with police well before the series aired, he said. Durst’s longtime Houston lawyer, Chip Lewis, called Jarecki “duplicitous” for not making it clear to Durst that he would be giving footage to police. Bob Steele, a Poynter fellow and recently retired DePauw University professor, said he was unfamiliar with details of the Durst case or “The Jinx” but had a strong caution for reporters in general. “We cannot just go after these stories at full blast without paying attention to professionalism” and an individual’s constitutional rights, Steele said. AP Television Writer David Bauder in New York contributed to this report.